Barbezieres is a small hamlet or, to use the French vernacular, a commune in the Charente department in southwestern France and is some 34 km from Angouleme, the department capital. It is also some 578 km from Calais. 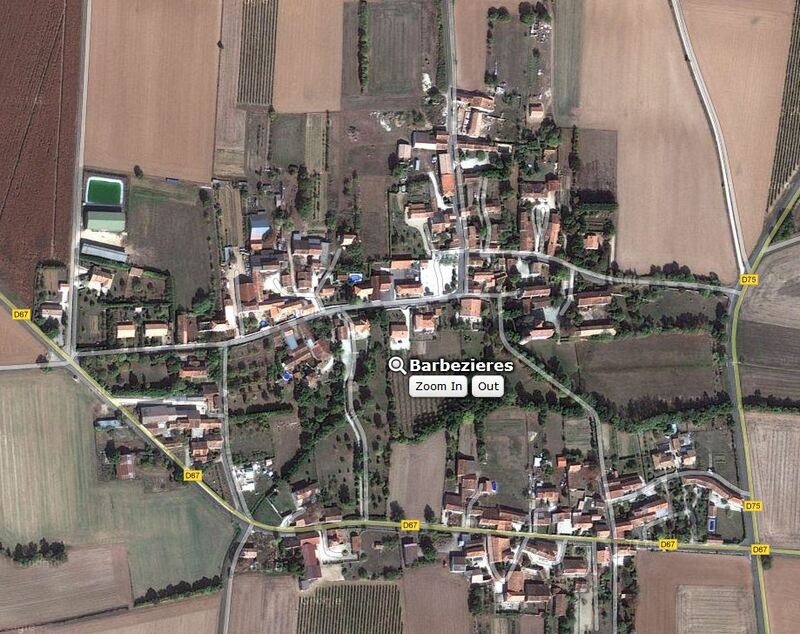 In 2008, according to Wikipedia, Barbezieres had a population of 123. Barbezieres – Viewed from the fields above the village.